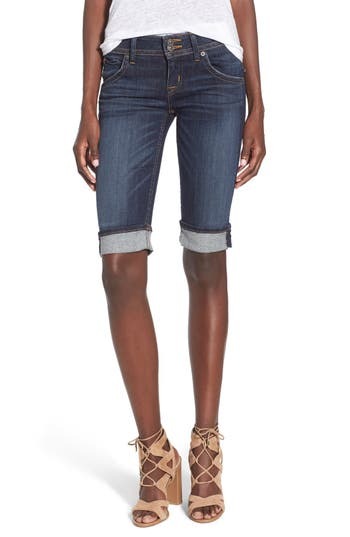 Strategic whiskering lends worn-in appeal to cuffed denim bermuda shorts cast in a wear-with-everything medium-blue wash. Style Name: Hudson Jeans 'Palerme' Cuff Bemuda Shorts (Elemental). Style Number: 5073917. Available in stores. Interested in lengthening your legs and accentuating your assets? Hudson Jeans will do just that with their hand crafting and fine European tailoring. Nordstrom now offers free shipping. Free returns. All the time.